Own a piece of history. 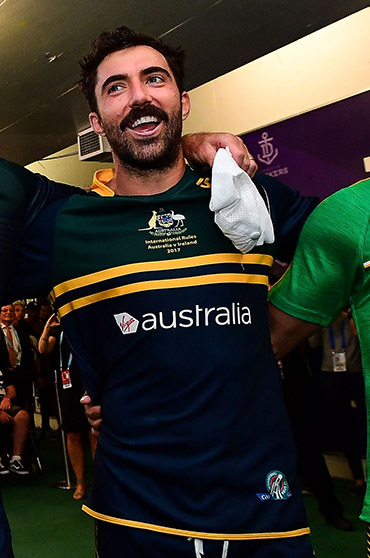 Kade Simpson is auctioning his 2017 International Rules guernsey, with all proceeds going to the Movember Foundation, which is saving and improving men’s lives through projects focused on prostate cancer, testicular cancer, mental health and suicide prevention. PLEASE NOTE: Postage to be paid by purchaser.